NEED BINDING OR PRINT FINISHING SERVICES? 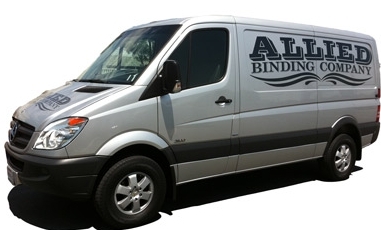 Allied Binding is a full-service bindery shop that offers a wide range of bindery and print finishing services. Allied Binding Co. of Anaheim, CA, is proud to offer a variety of bindery services for the printing industry in Southern California. 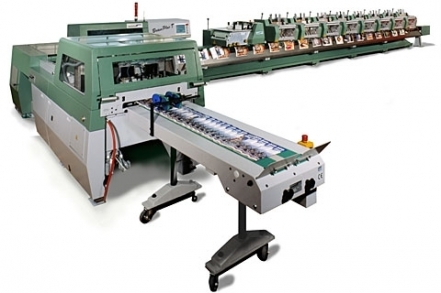 We have based our business model on producing a high quality product in a fast turn time. We have been established since 1977. As a family owned and operated business, we take great pride in our product. We have nearly 200 years of combined bindery experience on staff. It is our goal to provide you with the best service and quality around. With a proven record and a loyal following, you too can trust us with your finishing needs. 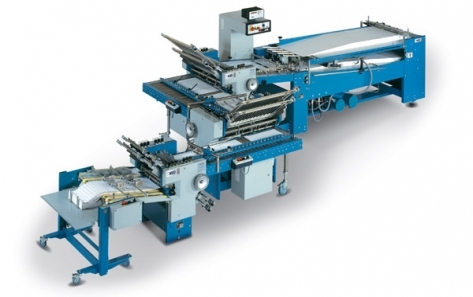 Maintaining the high standards of Allied Binding and providing our customers with a fast and reliable product are and will remain ongoing priorities for us. • Perforation: Line, "T", or "L"
January 2017 marks the 40th anniversary of Allied Binding Co. We are very proud to have taken this business this far. It all started out back in 1977 when father and son, and Bryan and Gary Rowbotham, decided to pool their resources and experience together and start a new business. Together they had over 60 years of bindery experience. When they started thinking of a location, it was agreed it would be in Orange County. They were both tired of the L.A. bindery scene, not to mention the commute. So they opened up a little shop on Kraemer Blvd. in Anaheim, CA. They first started off with a hand stitcher and a folder. They borrowed some time on a cutter from a neighbor. As business began to grow at a steady pace, they need to obtain more space. They were fortunate enough every time that units became available to be in a position to expand. As time passed they decided to take the plunge and buy a building that could accommodate their growing demand. So in 1985 they moved the business about a mile away to Armando St. into a 10,000 sq/ft building. About this time Bryan decided to retire and leave the reins to Gary. In 1990 another family member, Keith, decided to join the family business. By the year 2000 Gary was ready to slow down and start thinking about retiring so Keith took over all operations. On May 1st 2013, it was decided that it was time to make another move so Allied Binding relocated just around the corner. It was our top priority to maintain and grow the current customer base by continuing to provide the regular quick turnarounds our customers have become accustomed to so we decided to keep the business in the same area. We are committed to continually give each and every customer the attention they deserve so we can all prosper in this industry. We would be happy to provide you with a custom quote for your project or answer any of your questions. Give us a call, we're here to help.